Really and truly, I am a very ordinary person, but I have the joy and privilege to serve an extraordinary God. After losing my husband in 2007, 7 months after the birth of our fourth son, I began to rebuild my life without Keith. I continue to homeschool my boys, serve in my local church, and write. I started this blog to share my journey, to hopefully be a blessing to others, and to have an outlet for my own feelings. My world is busy, crazy, sometimes frustrating, but filled with love and joy. You can rebuild after loss. I am living proof of that. God has become more real to me each and every day as I travel this road, with Him as my only Husband and my first, best Love. I pray that my words can provide a bit of something for you…even if it is just a laugh at the antics of this crazy family of mine and my quirky way of looking at life. To my Lord and Savior Jesus Christ be all glory, honor, and praise! I love your blog. its very uplifting. 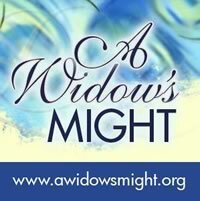 I follow widows might on face book and I a message asking if they could share some ideas on how I may get a widows support group started in my area, They suggested I contact you. They said you had done this and maybe you would pass on some ideas. This has been a request from my pastor for me to pray about and I really feel like God is saying yes, Can you help in any way? Hi Linda! Thanks for your kind words! I have been writing other things for my church lately and not as much for my personal blog…but I take this as a nudge from the Lord to start back up here again. Thanks for that! I am working on a private message for you…will send to the email listed here!